We have got good news for CA aspirants ’cause Bank of Maharashtra has recently released an official notification announcing 50 vacancies for the post of Chartered Accountant/Cost & Management Accountants. The online application process started on 3rd September 2018 and the last date to apply online is 23rd September 2018. The exam date has not been announced till now but will be released very soon. 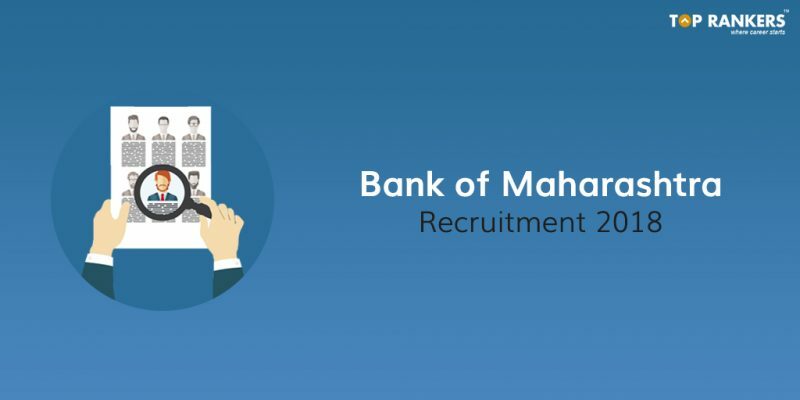 Scroll down to read more details regarding Bank of Maharashtra recruitment process. You also need to send the hard-copy of the online application to the prescribed address so as to reach on or before 3rd October 2018. Age Limit: You must be between 20 to 30 years of age as on 31st July 2018. Educational Qualification: You must hold a Graduate degree from a recognized University with professional qualification of CA/CMA. The selection will be done on the basis of shortlisting, Group Discussion, and Personal Interview. Then, click on Recruitment tab and Online Application for Chartered Accountant link. Alternatively, click on the direct link given above to reach this step. Then, click on New Registration and fill in the basic details to register yourself. Now, login using the credentials generated. After that, fill in the remaining details. Then, submit the online application. Finally, take a printout of the application and send it along with self-attested photocopies of the relevant documents to – The Assistant General Manager (IR & HRD) Bank of Maharashtra ‘Lokmangal’ 1501, Shivaji Nagar, Pune – 411005. You can pay the fees only through online mode. So, tell us, did you find our post on Bank of Maharashtra Recruitment 2018 helpful? Then, keep visiting us regularly for more job notifications and recruitment updates. And do share your thoughts with us in the comments section below. ‘Cause your opinion matters!